The unit extruder barrel and screw are made of high quality alloy steel, tight nitrogen treatment and precision machining, with the best hardness and corrosion resistance, the special designed screw, high output, good plasticization. For blowing low density polyethylene (HDPE) Linear Low Density Polyethylene (LLDPE), such as plastic film, widely used in food, clothing, garbage bags, vest bags and other consumer and industrial packaging. Low-pressure polyethylene (HDPE) and linear low density polyethylene (JJDPE) is the international market in recent years, mass production of new varieties of polyethylene. Because of its excellent impact strength, puncture resistance, resistance to environmental stress cracking resistance, low temperature performance, especially micro-thin films can be produced (1.5 silk thick film strength enough to put on the 3 wire arrived in thick high-pressure polyethylene film) . Use of low cost, so a lot for blown film. 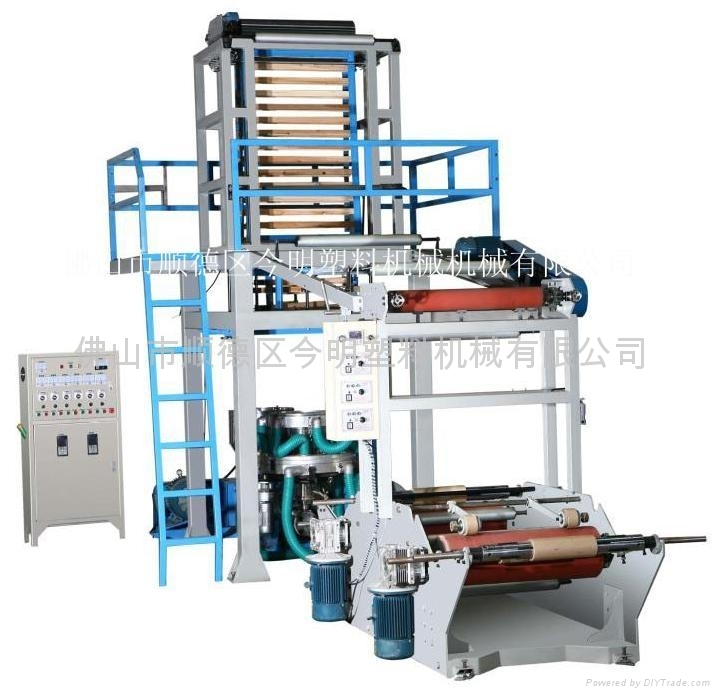 Pressure can be blown, high pressure, three types of linear low density polyethylene film, not only to adapt to their new material blown film, but also for their recycled plastic blown film, stable performance, reliable quality, the unit uses the special structure of the spiral rod extrusion the machine, the advanced spiral die and flexible adjustment of the cooling air ring, a reasonable aperture stable foam structure, in order to ensure the three different ratios of polyethylene and plastic of uniform mixing.